Social media optimization is a marketing approach utilized to increase the visibility of your site by leveraging the power of social media and online communities. 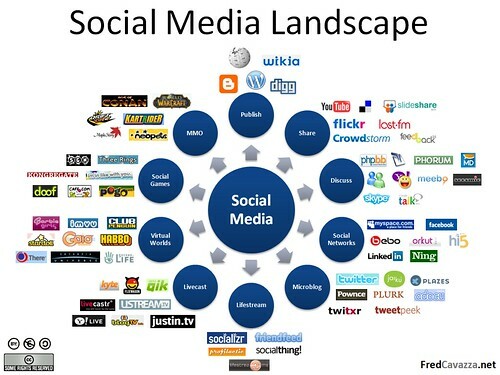 Social media optimization is a term originally introduced by Rohit Bhargava back in 2006. "For years now, Search Engine Optimization (SEO) for websites has been honed into a fine art with entire companies devoting considerable effort to defining best practices and touting the value of SEO for raising a site's performance on organic search listings. While I believe in the power of SEO, there is a new offering we have started providing to clients which we call Social Media Optimization (SMO). The concept behind SMO is simple: implement changes to optimize a site so that it is more easily linked to, more highly visible in social media searches on custom search engines (such as Technorati), and more frequently included in relevant posts on blogs, podcasts and vlogs." SMO (social media optimization), originally based on the five key principles Rohit first wrote to increase the visibility of a blog site, grew with time to 17 items, as other social media experts contributed to them by suggesting new ones across new blog posts about social media optimization best practices. As all such great social media optimization principles have only being linked and referenced on the original post by Rohit, and remain therefore scattered across multiple sites and blogs around the Web, I have decided to add to, aggregate and prepare a comprehensive list of all them and to title it "The Social Media Optimization Manifesto" while leaving this document open for further additions and updates. This is the first and most important priority for websites. Many sites are "static" - meaning they are rarely updated and used simply for a storefront. To optimize a site for social media, we need to increase the linkability of the content. Adding a blog is a great step, however there are many other ways such as creating white papers and thought pieces, or even simply aggregating content that exists elsewhere into a useful format. (Principle suggested by Rohit Bhargava). Often used as a barometer for success of a blog (as well as a website), inbound links are paramount to rising in search results and overall rankings. To encourage more of them, we need to make it easy and provide clear rewards. From using Permalinks to recreating similarly, listing recent linking blogs on your site provides the reward of visibility for those who link to you. Unlike much of SEO, SMO is not just about making changes to a site. When you have content that can be portable (such as PDFs, video files and audio files), submitting them to relevant sites will help your content travel further, and ultimately drive links back to your site. In a world of co-creation, it pays to be more open about letting others use your content (within reason). YouTube's idea of providing code to cut and paste so you can embed videos from their site has fueled their growth. Syndicating your content through RSS also makes it easy for others to create mashups that can drive traffic or augment your content. Add value to users, including outbound links to areas that could help them with their goals and purposes. Deployed corrected, even if you link to competitors you stand to gain as the communities first source of information finding. How will this help SMO? Folks will link to your social site and tag is as helpful or the 'ultimate' guide in that space. As this adds up, it will become more and more relevant in search engine results. (Principle suggested by Jeremiah Owyang). Often helpful or popular users will be influencers and champions within your social site, devise ways to elevate them buy promoting their works on the homepage, or develop a rating system. Sometimes a quick email or note in private telling them you appreciate them can go a long way. Some folks have done that to me, and for communities I run, I do that as well. Only do if sincere. Perhaps this is not truly SMO, but it will help to keep the most valuable members of a community closer to your site. (Principle suggested by Cameron Olthuis). If you don't even know your target audience you are in trouble. I would love to have everyone using my product too, but you need to be realistic. There is always going to be a certain audience you can appeal to and others that you can't. So know your appeal and who it is appealing to you. There are certain kinds of content that just naturally spread socially. It does not matter what industry you are in and what boring products you sell, there is always some kind of content that can be created that will work. Whether it is creating widgets, making people laugh, or writing a whitepaper, it can be done. Know what type of content can work for you and create it. Sometimes it can be easy to get carried away being a BlogStar or industry talking head. Remember those who helped you along the way, and that respect will help all involved. (Principle suggested by Loren Baker). (Principle suggested by Loren Baker). Define your objectives and set goals. Be fully aware of what your desired outcome is as a result of performing these tactics. Reputation, sales, influence, credibility, charity, traffic / page views, etc. (Principle suggested by Lee Odden). Be cognizant of what actions will influence the desired outcome with the most impact. According to Hans Peter Brondmo of Plum during the SES San Jose session "Marketing with Social Media", 1% of those involved with social media are creating content, 10% will enrich that content and 90% will consume it. That's a lot of influence wielded by content creators and those that reblog and mashup. Think about what you can do to enable content creation as well as the repurposing of that content for what might possibly be the most productive outcome. Help existing content become more meaningful to others by tagging with relevant keywords images, videos and other multimedia resources posted by others. Instead of simply cheering up or complimenting someone for sharing a valuable media object, go and tag it with relevant, descriptive words providing a valuable, though discrete but tangible contribution to everyone and to your community in particular. (Principle suggested by Robin Good). When you share news, links or media objects on your preferred social media outlets, be them Twitter, Facebook or Friendfeed, go for the meat. Share first and foremost things of great value to your social community. Yes, chat, provide feedback, compliment and congratulate when appropriate but do not make this the end activity of your social media presence. Go out of your way to give visibility and reward to great ideas and work done by others. Talking always about how cool and great you are gets boring after a while. The idea is not either to save yourself time and effort by picking and re-sharing cool items you get from others in your social media communities. The goal is rather to be a social paladin of other people's work to bring them the attention they deserve. In the spirit of social media principles, the idea of Social Media Optimization is now out there and belongs to the marketing and PR community. In the very spirit of this last point, I see this as an open list, welcoming others to bring in and contribute other additional ideas. Feel free to use the comment area here below to suggest other key principles you think should be added to it and I will be happy to add the best (with a link back to your site) that you will provide. This manifesto has been inspired by "5 Rules of Social Media Optimization (SMO)"
originally written by Rohit Bhargava and contributing authors for the Influential Marketing Blog and first published on August 10th 2006 as "5 Rules of Social Media Optimization (SMO)". Daniele Bazzano and Robin Good of MasterNewMedia have expanded and remixed Rohit's and the other contributors' original content by aggregating all of them on this page, providing a more engaging editorial format, and by adding new in-text links to references and relevant resources and a couple new principles to it. Rohit Bhargava is a founding member of the 360 Digital Influence team at Ogilvy and author of the marketing book Personality Not Included, a guide to using your personality in marketing. He also publishes the Influential Marketing Blog. Rohit Bhargava is widely recognized across the marketing industry (and on Wikipedia) for inventing the concept of Social Media Optimization (SMO) on his blog.